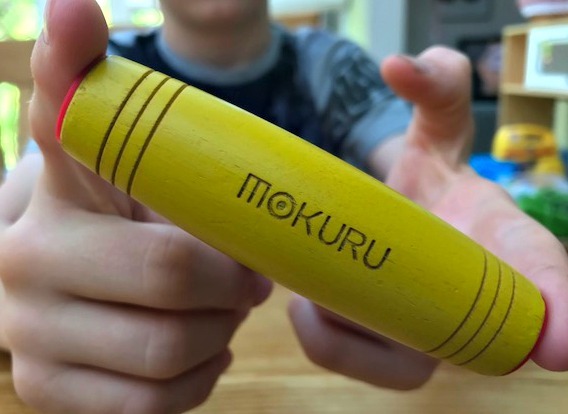 MOKURU Fidget Stick - The Next Craze? The MOKURU fidget stick is tipped to be the next big thing following the recent fidget spinner craze. My boys are still slightly obsessed with fidget spinners and I have been trying to stop them from spending their pocket money on bigger and better ones. When I heard that there was a new player in the fidget arena, I knew that they would be more than happy to test it out and review it with me. So after my initial disappointment it seems I was proved wrong. This fidget stick is actually pretty good fun and very addictive. I like that you can pass it between people, making it a bit more social. I like that it isn't too expensive (£9.99.) Lets face it these crazes come and go and noone wants to spend a fortune on something that isn't played with. All of my boys like this fidget toy, but it is my 9 year old that is most keen. Probably as he has practiced with it more and is able to do bigger and better tricks. So in conclusion, I am pretty impressed. Is it as annoying as a fidget spinner though? When your 9 year old wakes you up at 6.45am practicing his tricks with it. Yes. Yes it is. As with any popular toy, there are fakes out there. Don't be caught out and make sure it is it’s a real. MOKURU You will be able to buy them from Smyths Toys and Amazon.